The former Dallas Cowboys quarterback will cap off his second stellar season in the booth on Super Bowl Sunday. 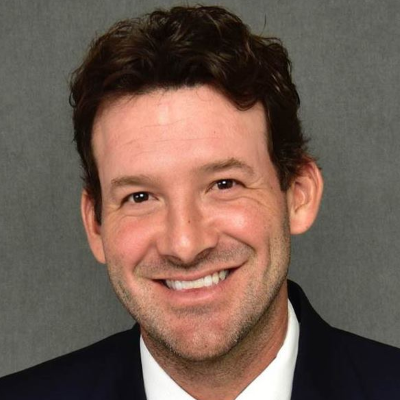 Yet for all he did on the field, Romo's ability to predict plays as "Romostradomus" and provide a fresh voice to NFL games has made him even more famous. "Tony Romo started 133 games, including six in the playoffs, across 13 seasons for a little outfit called the Dallas Cowboys," says Dan Wetzel. "He appeared in national television commercials and late-night talk shows, Hollywood movies and major television programs. He dated Jessica Simpson. The 38-year-old has been famous for a long time yet never quite as famous as he is now."